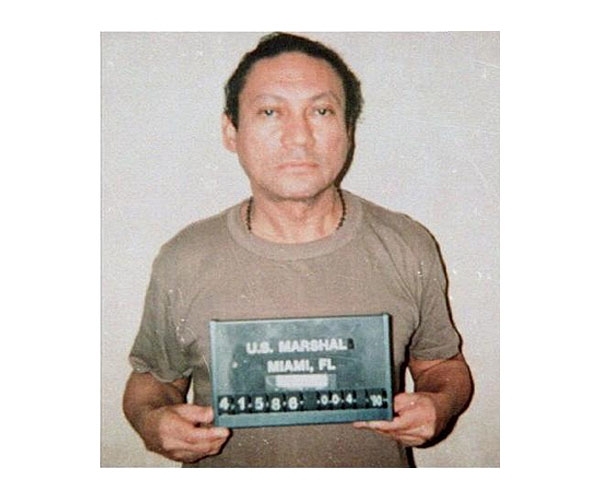 Former Panamanian dictator Manuel Noriega, who was indicted on drug trafficking, racketeering, and money laundering charges, was extradited to Florida in January 1990 after surrendering to the U.S. military following the 1989 invasion of Panama. In September 1992 he was sentenced to 40 years in prison for drug and racketeering violations (in 1999 the sentence was lowered to 30 years). Noriega, 71, remains locked up in a federal prison in Miami.